Good Monday friends!!! 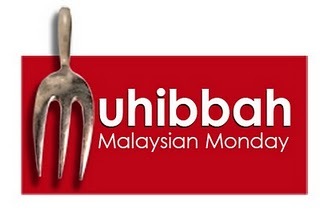 Still in CNY holiday mood? Hehe...me yes! Here's a dessert to cheer you all up. Specially for those loves cheese! The preparation, of course takes a little time. But when you have absolutely nothing to do, try on this. Grease 4 ramekins/souffles dishes with butter and dust with caster sugar on the bottom and sides. Leave aside. Beat cream cheese, sugar and egg yolks until smooth. Add in the flour and mix well. Combine the warm milk, orange juice and zest together. 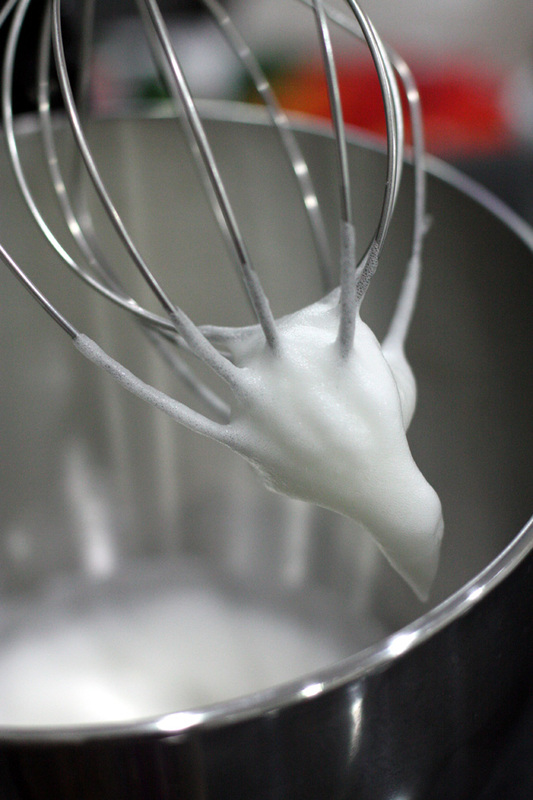 Whisk the milk mixture into the cream cheese mixture. Transfer to a saucepan and stir constantly over very low heat for 3-5 minutes, or until the mixture thickens slightly. Do not allow the mixture to boil. Leave aside. Now, whip the white egg in a clean, dry bowl until stiff peak. 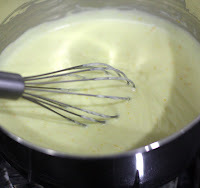 Fold in the whipped white egg into the milk cheese mixture. 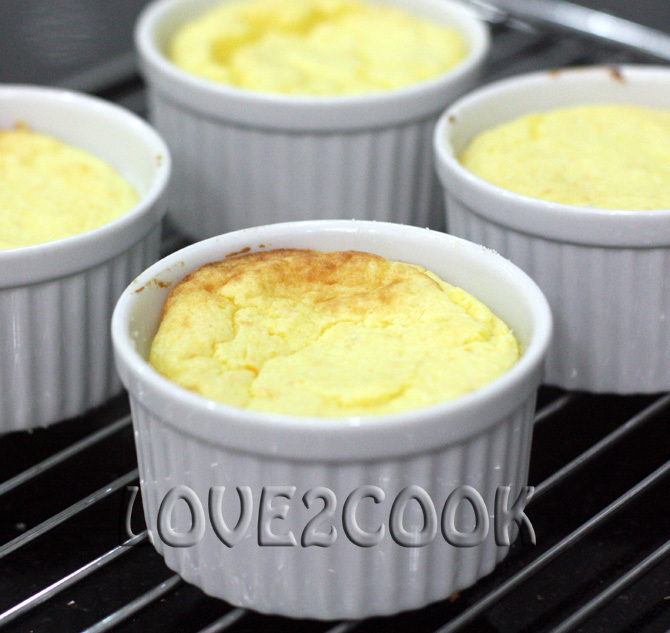 Fill the ramekins with 2/3 full of the souffle mixture. Bake at 180C for 15-20 minutes. Dust with icing sugar before serving. Have it either warm or chilled. 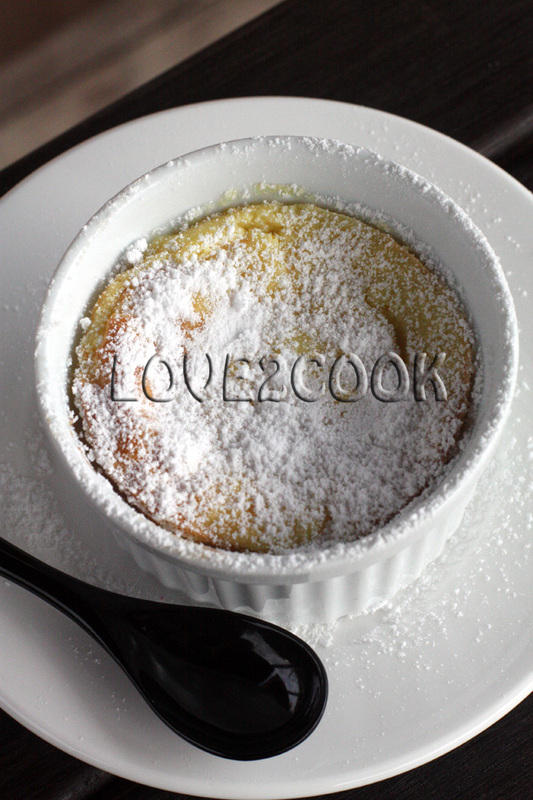 I love souffle's and this looks absolutely yumm yumm.. I am tempted.Loved the flavors in it and the pictures are gorgeous as usual. Hope u had wonderful BF. 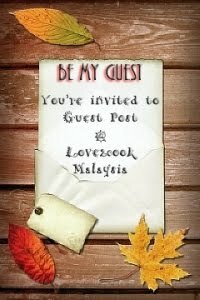 sedappnya..mas nak semangkuk boleh love..he..he..
hi love,anak2 akak berapa kali suruh akak try buat souffle tapi akak tak berapa berani.bila tgk souffle love ni akak rasa nak cuba pulak.akak cNp je resepi nya ya. Excellent looking dessert. Pics make it look even more inviting. Thanks for sharing. Hia I love this one! Bookmarked! yum, this one is bookmarked ! Looks so creamy, light and delicious. I love it. 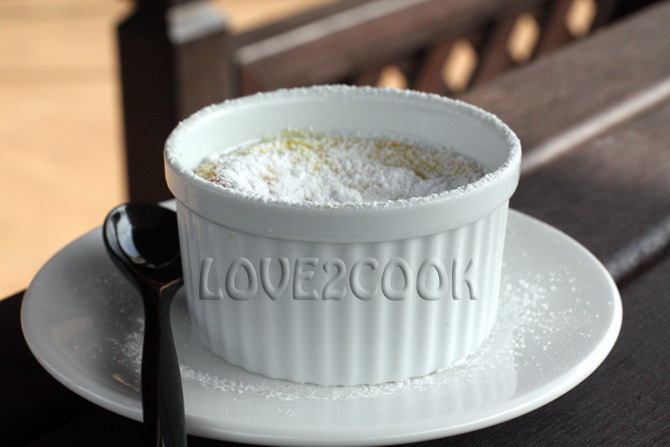 I must try souffle one of these days. Thanks very much for sharing. wow, looks yummy, can i have some? Those are to die for! The first click is awesome.. Absolutely nothing to do? How I wish!! He! He! Looks delicious, I finally got my ramekin moulds, a gift from my dear sister! 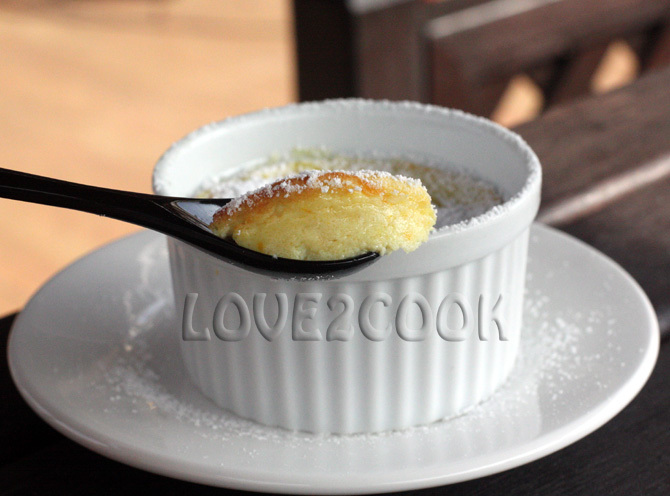 cedappnya souffles tu love..feveret flavors plak tu..
ada lg x utk I??? These look lovely and they sure worth the trouble you got in to make them!